Aker Chemetics, a division of Aker Solutions Canada Inc.
EC Mining Sulphuric Acid Solution (SAS), is a sister Company to EC Mining and provides comprehensive services in all aspects of sulphuric acid manufacture. 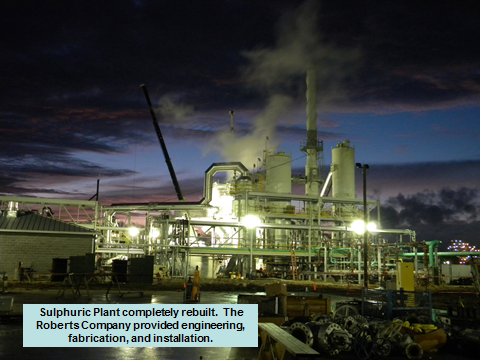 Proprietary equipment suppliers and engineering services for gas acid plant gas cleaning systems. Now separate from Lurgi Metallurgie GmbH which designs acid plants. NORAM Proprietary equipment suppliers and engineering services. Thyssenkrupp Industrial Solutions As a globally active supplier, we combine our extensive competence in the construction of turnkey industrial-scale plants with proprietary patented technologies for the production of sulfuric acid, thus making us independent of licensors.